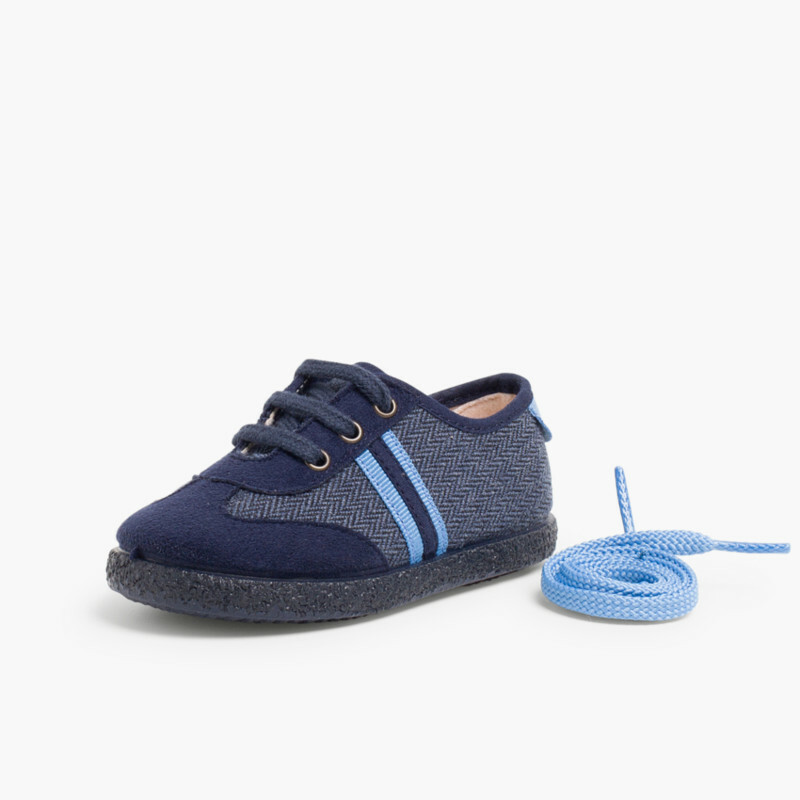 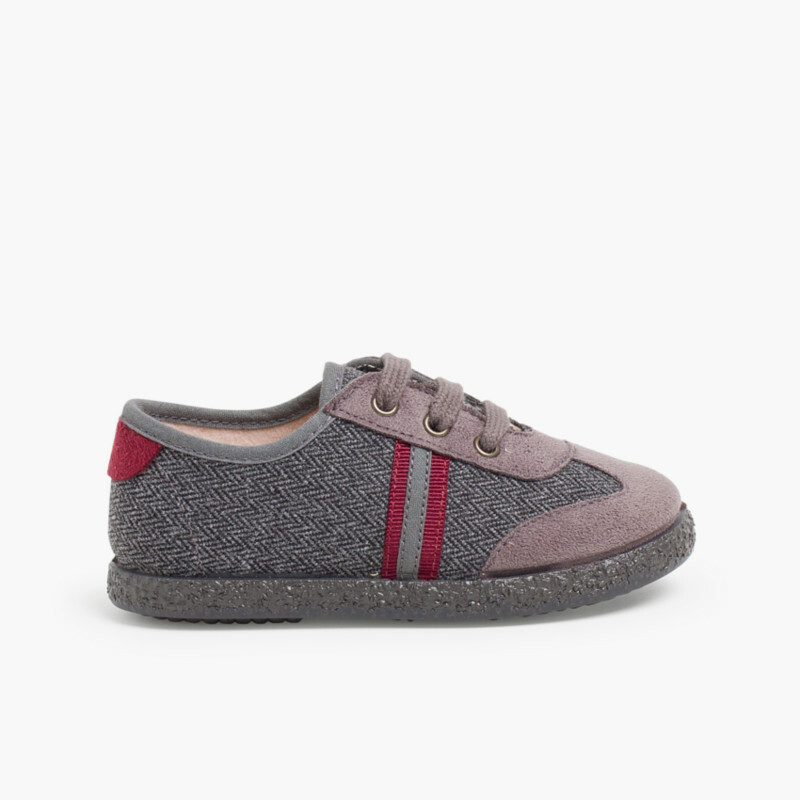 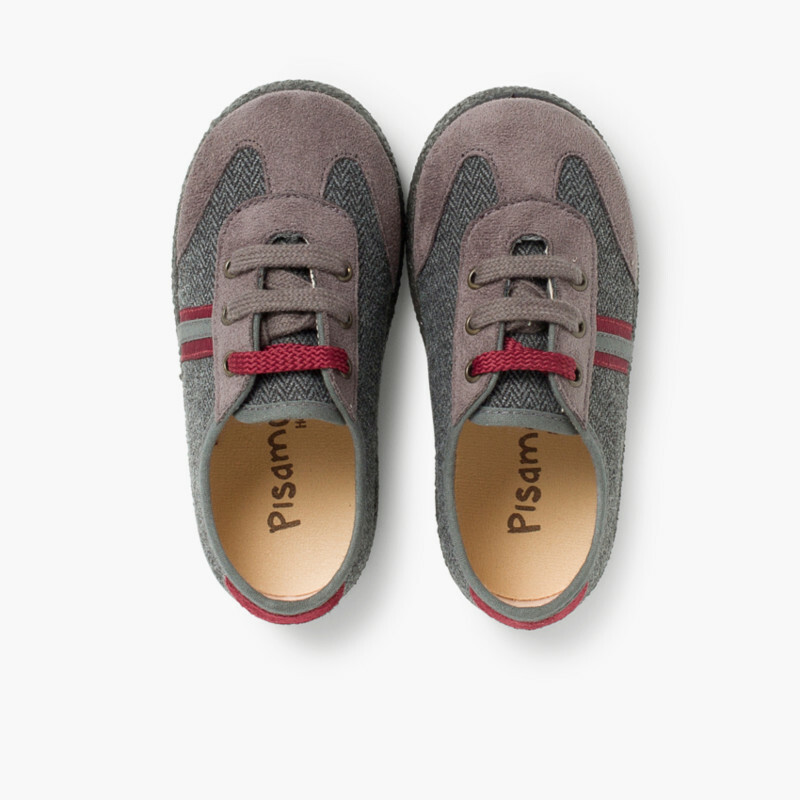 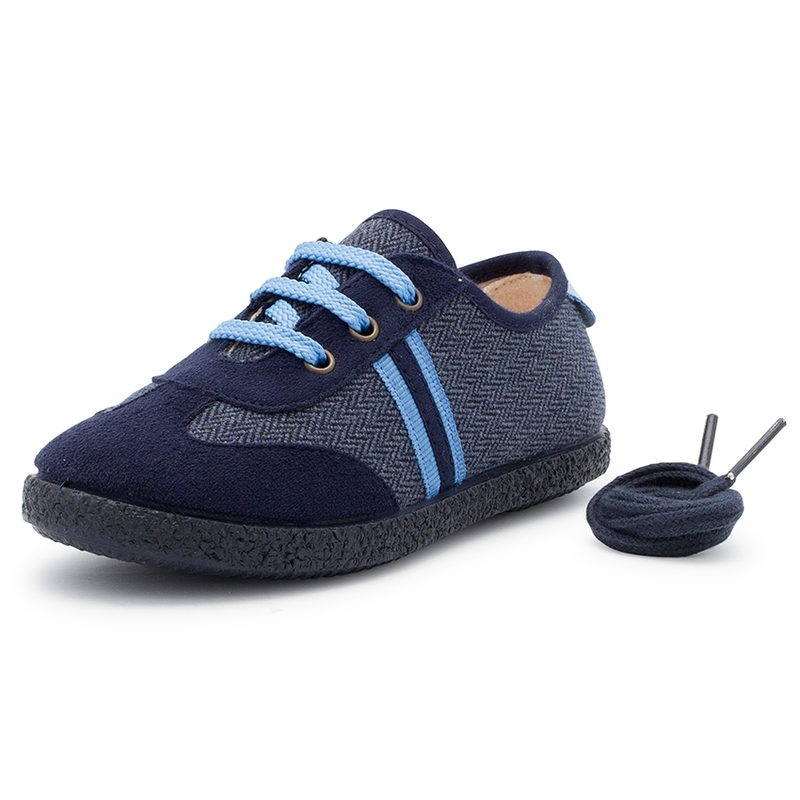 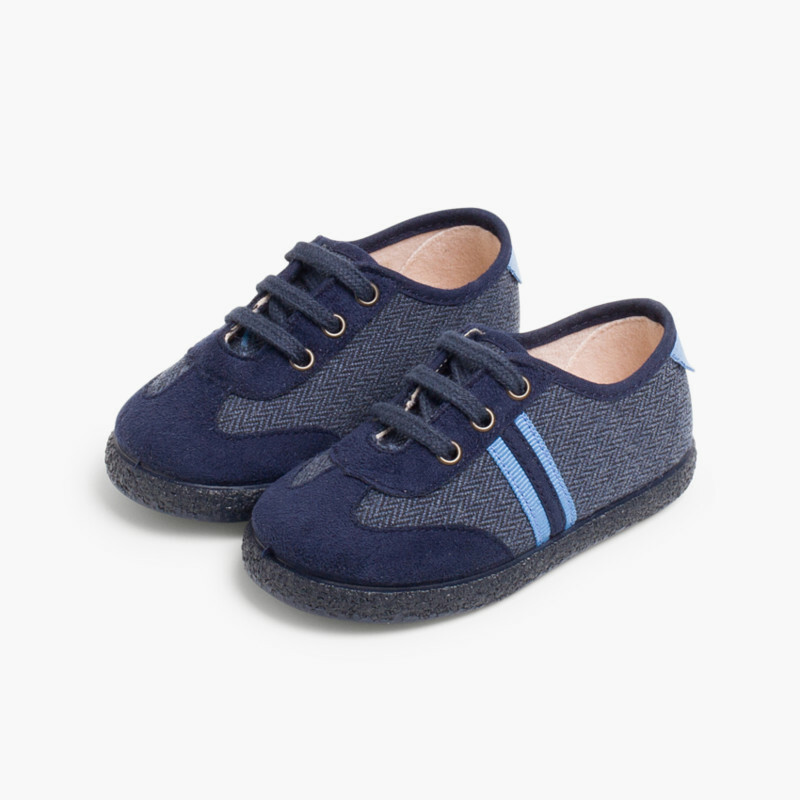 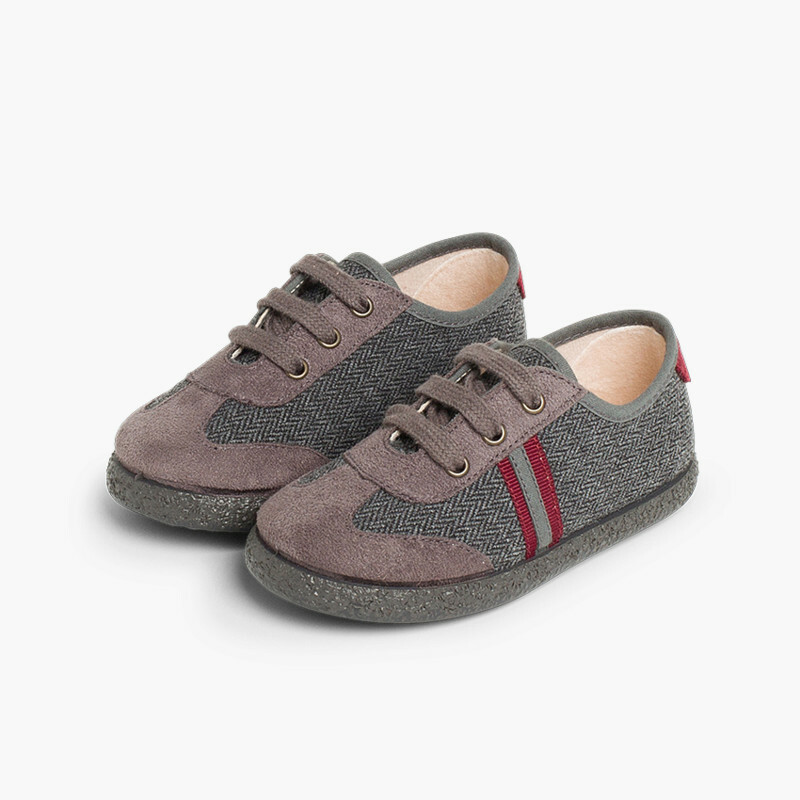 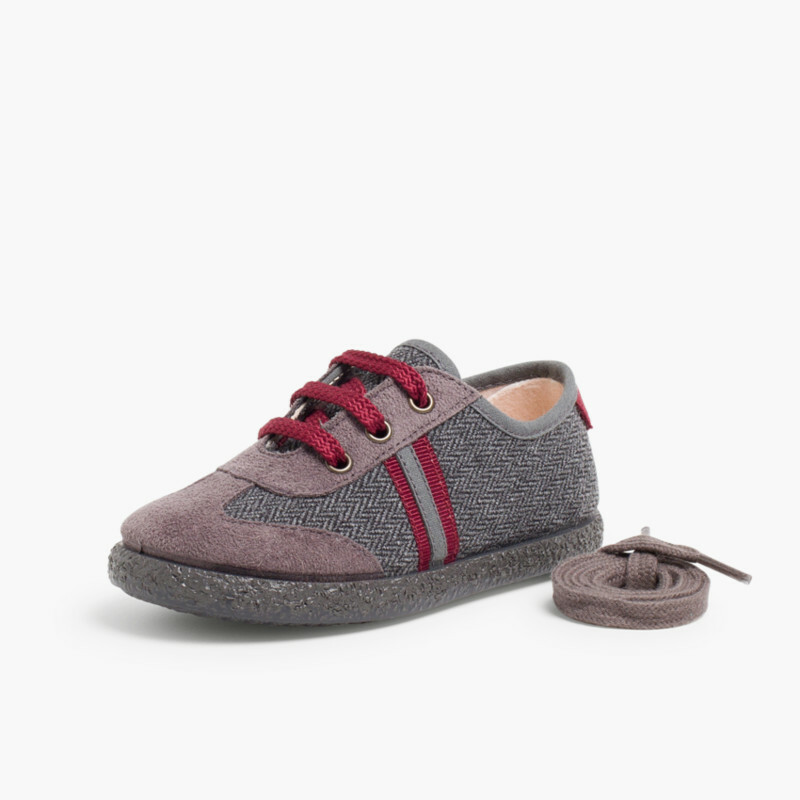 Faux suede trainers for children with two pairs of interchangeable laces in different colours. 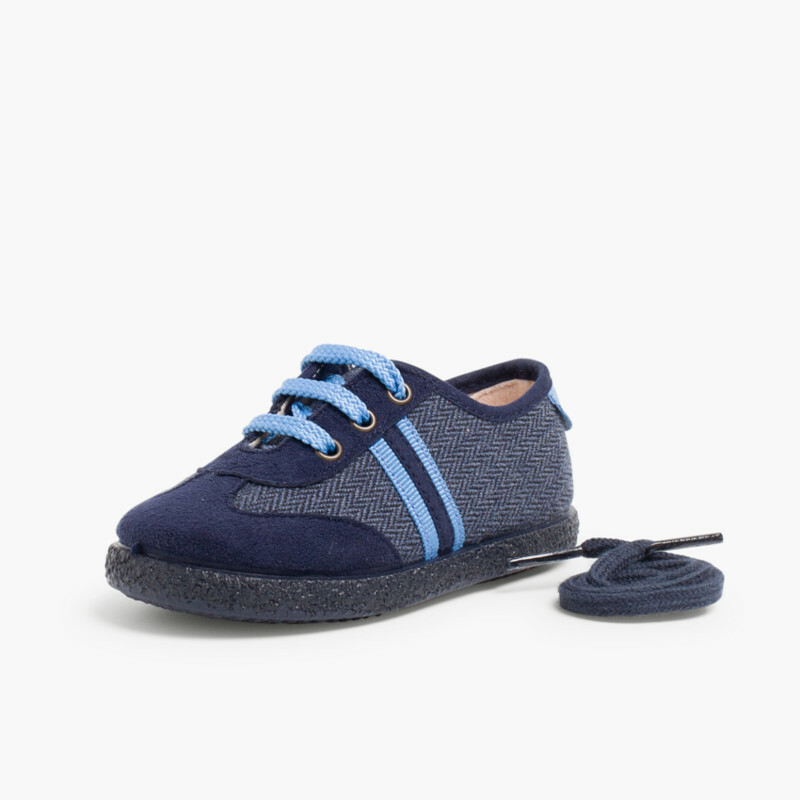 As if you had two shoes for the price of one! 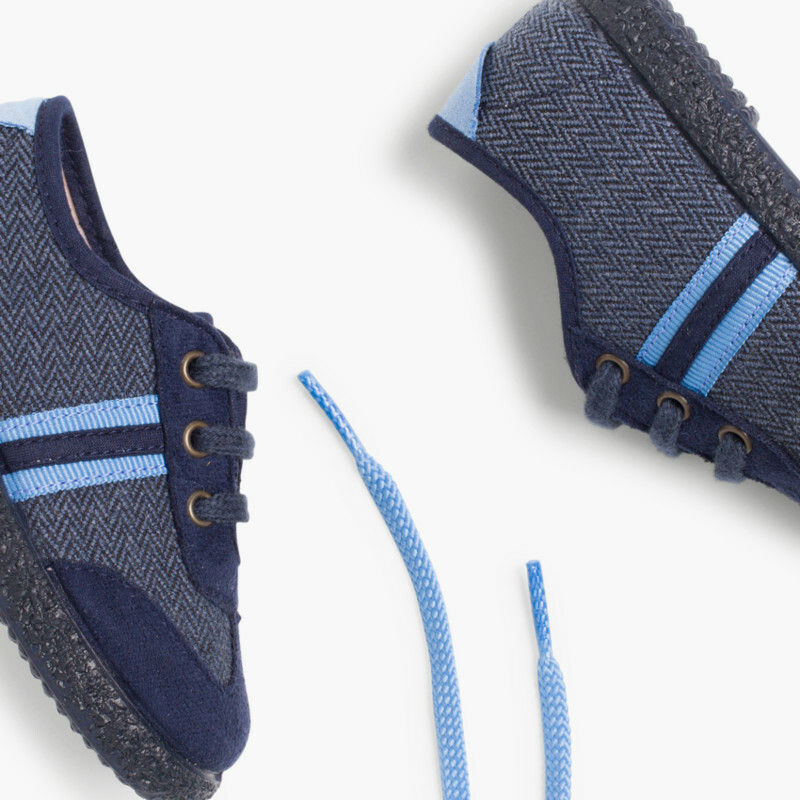 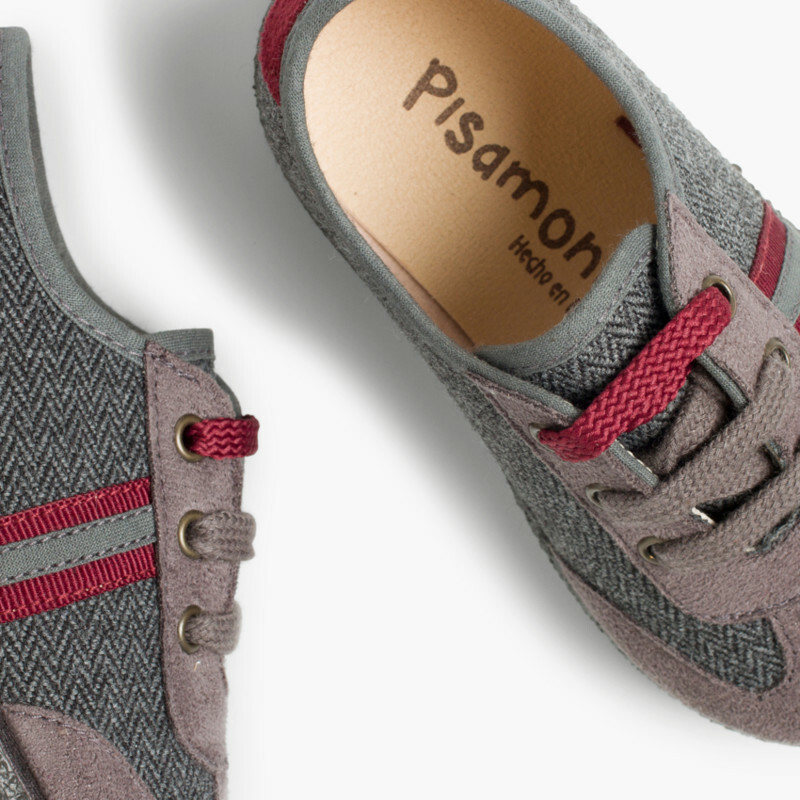 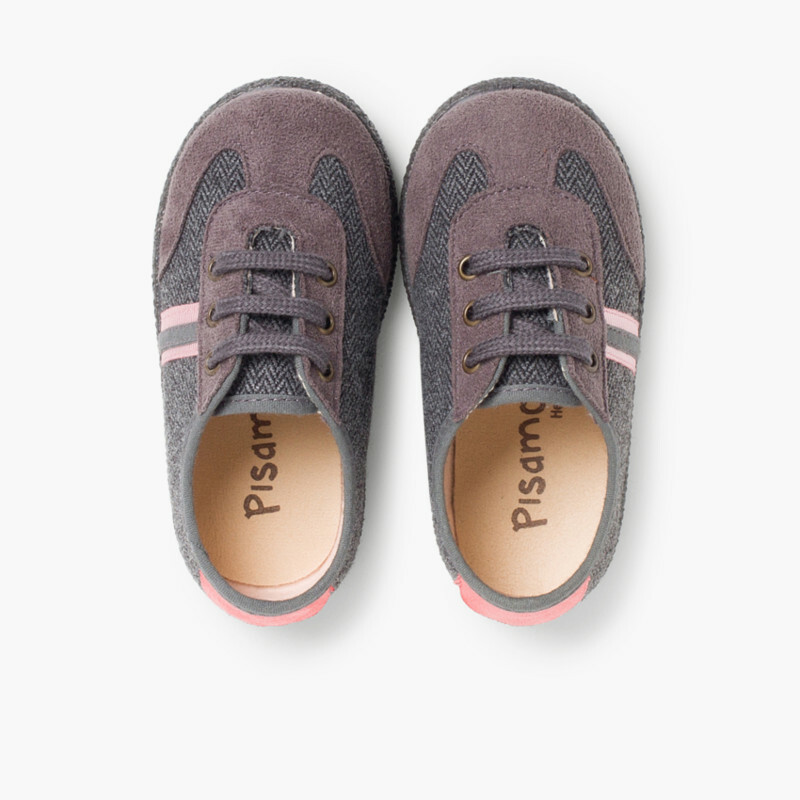 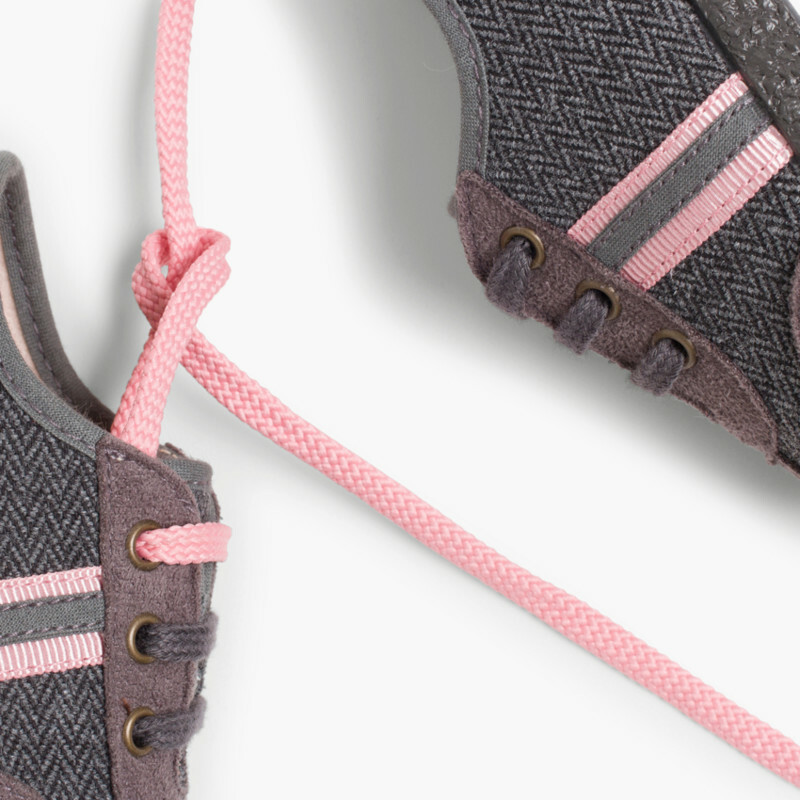 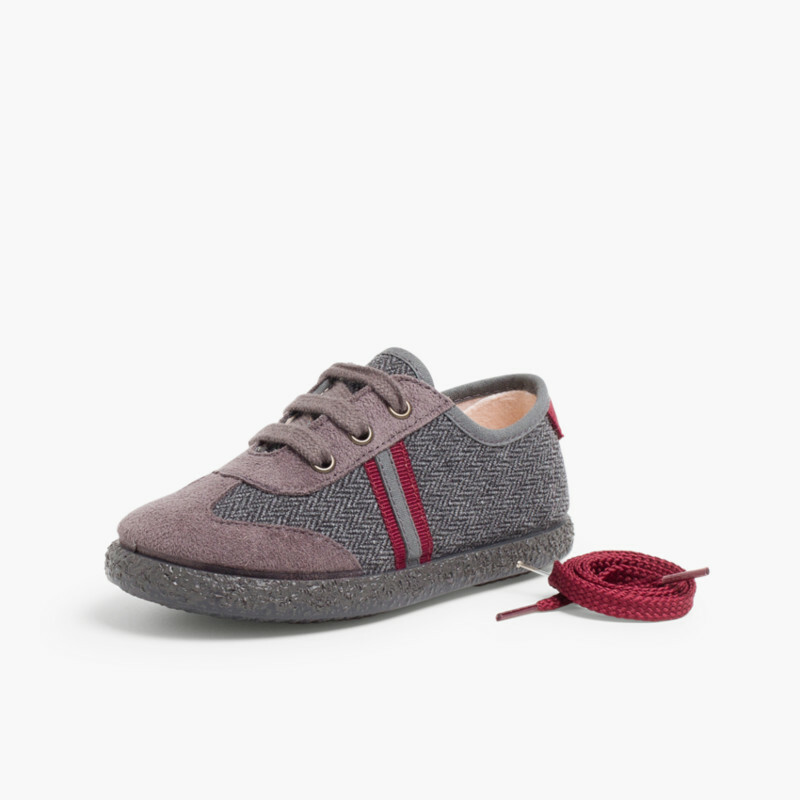 One of the pair of laces is in the same color as the upper herringbone fabric, for a more classic looks. 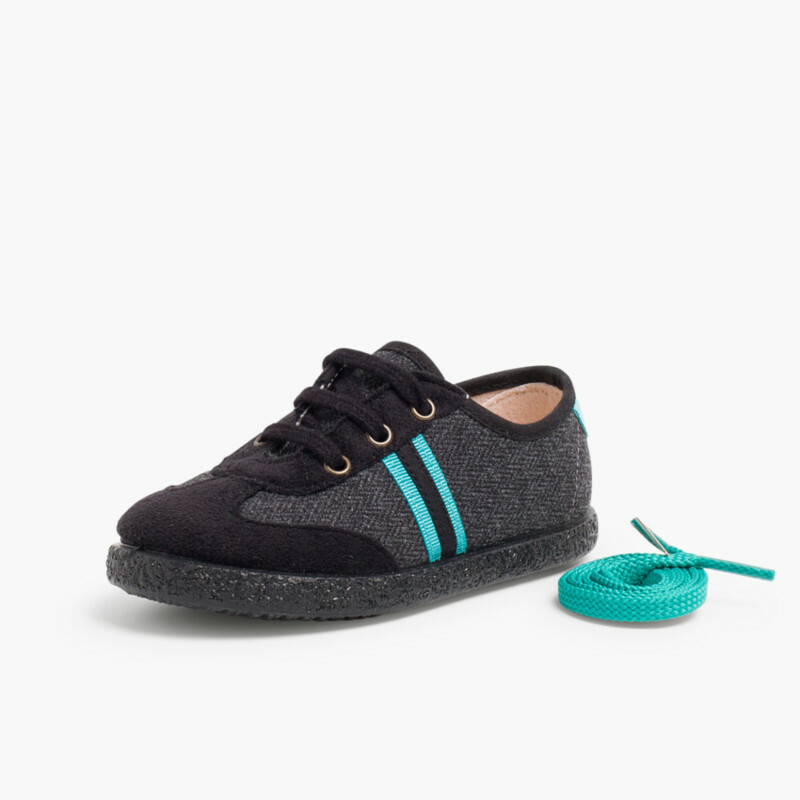 And the other laces are in the same color as the side stripes for a more modern look. 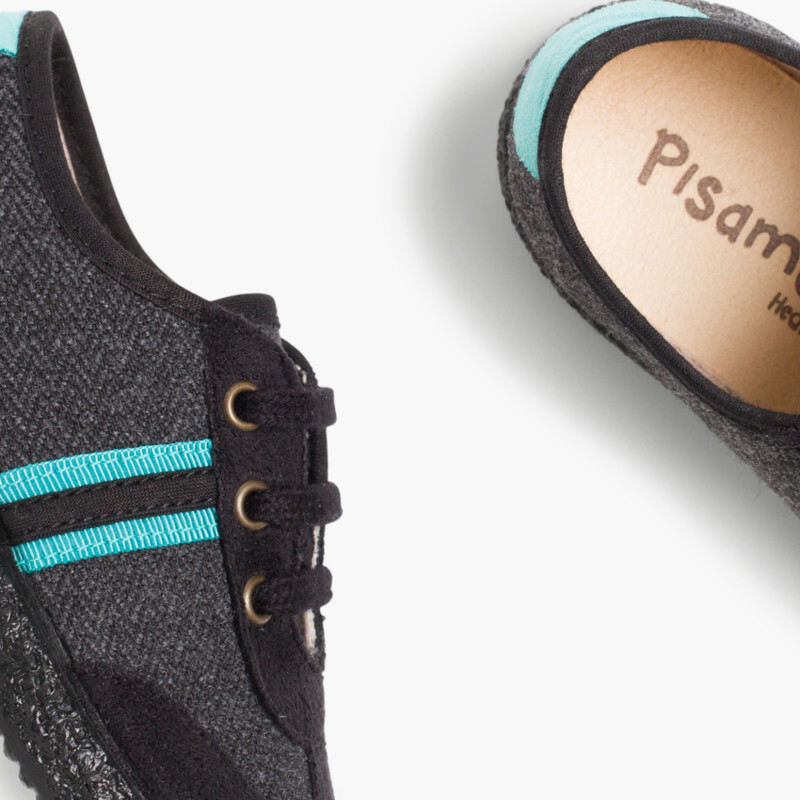 They serve for any occasion. 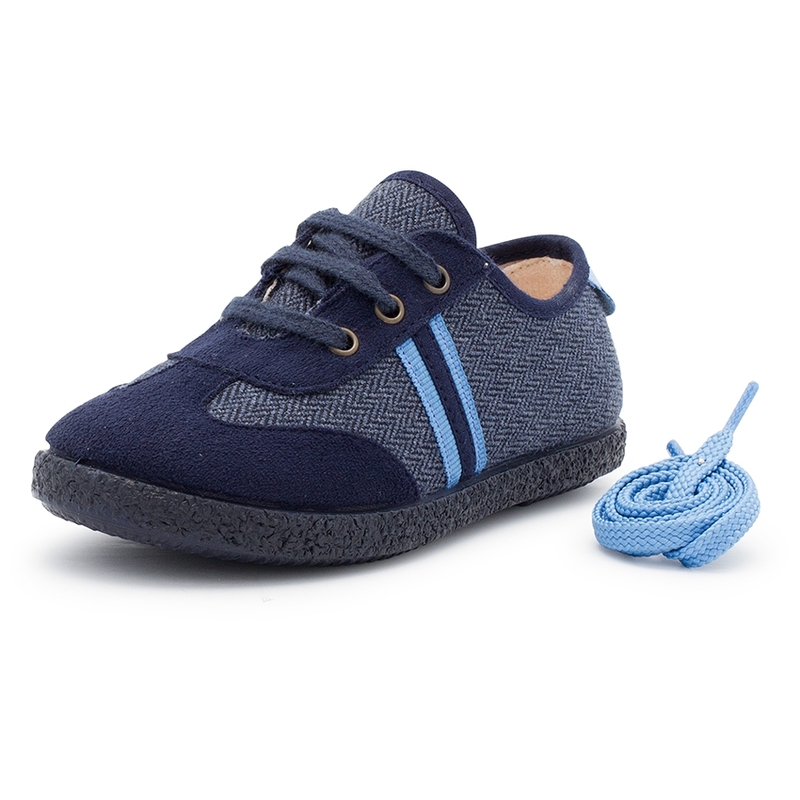 A very comfortable shoe for boys and girls. Ideal for mid-season, your children will be very comfortable and fashionable. 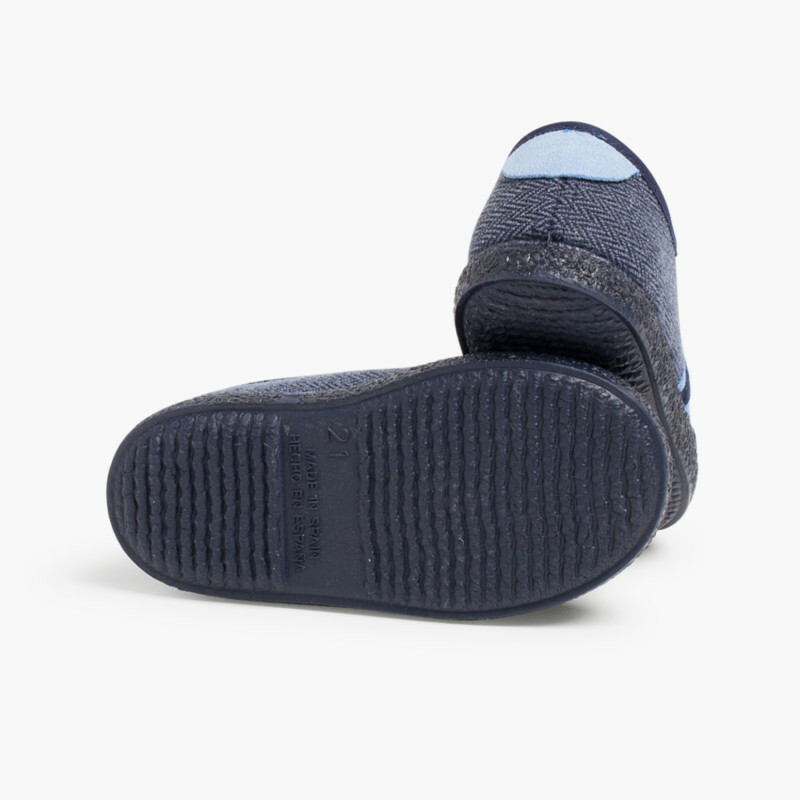 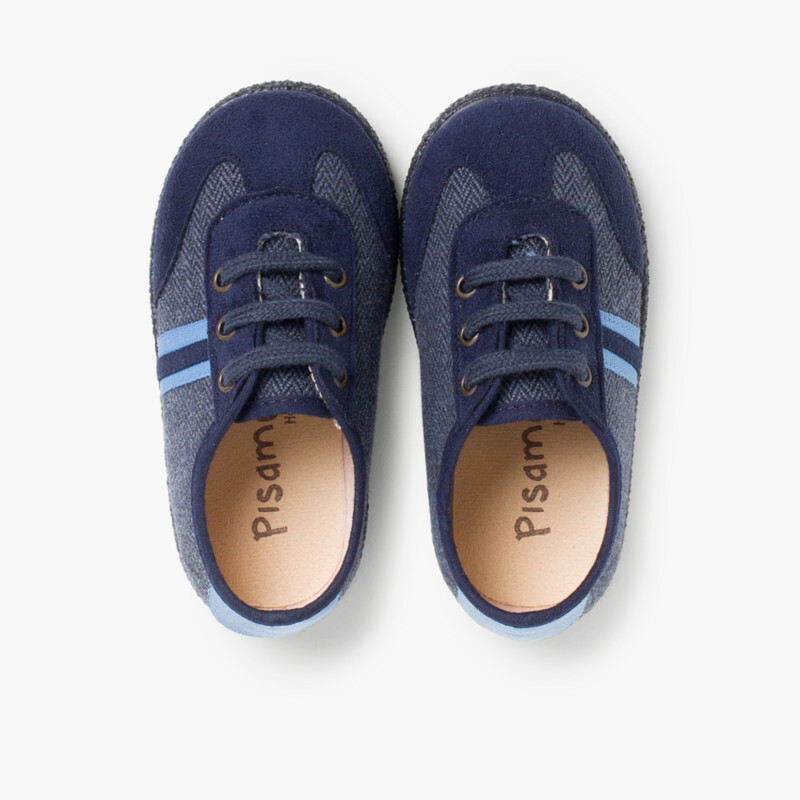 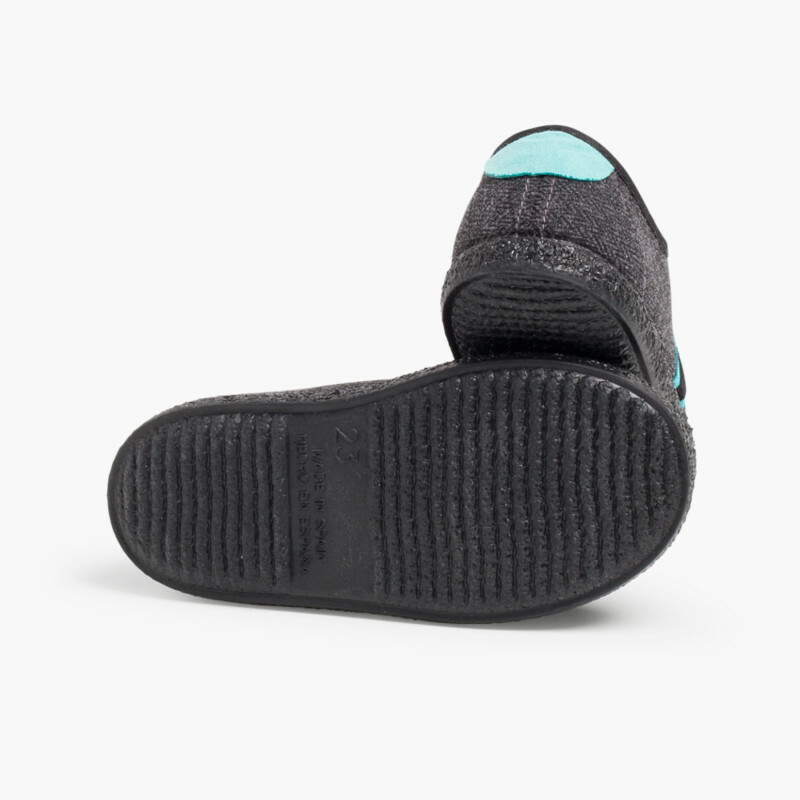 Made in Spain with textile material, textile lining and slip resistant rubber sole. 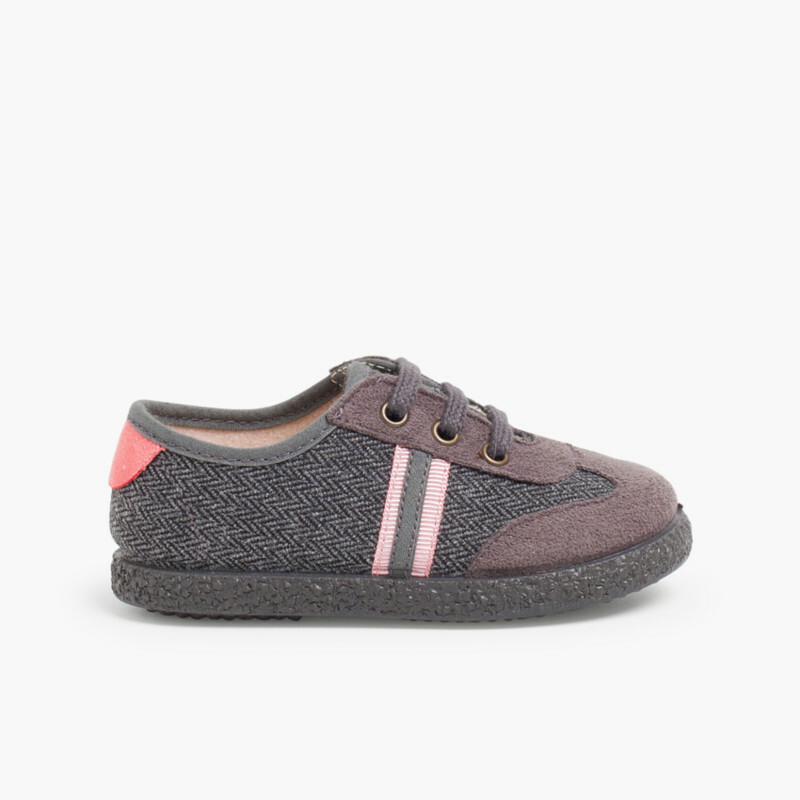 Sizes from 18/UK 2 Child to 32/UK 13 Child. 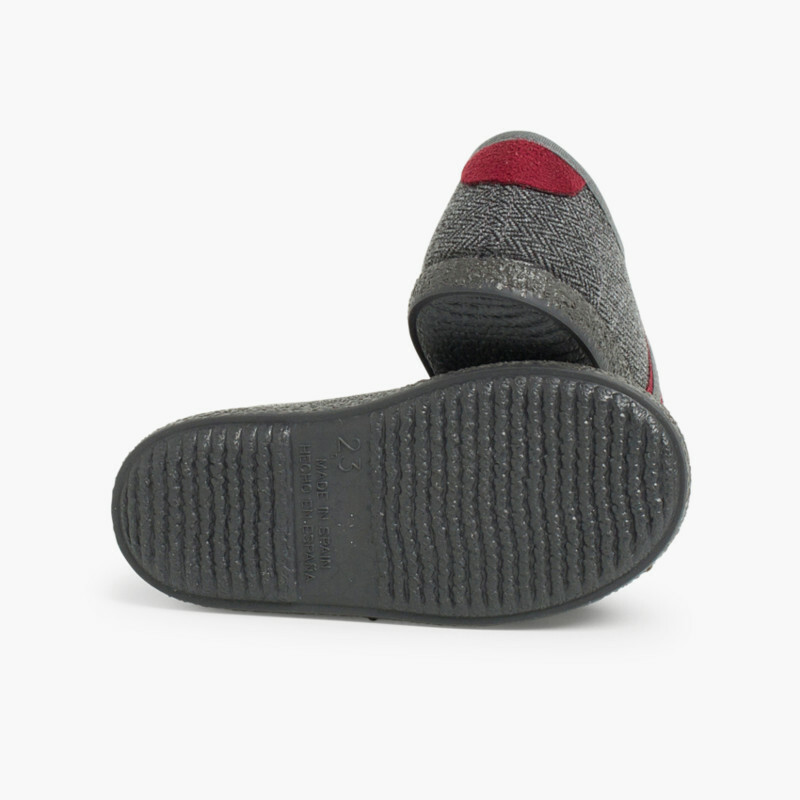 Exchanges and returns are completely free.